I was asked if I could find some information regarding Paige Chivers who is a 16 year old girl whoh disappeared from her home in Bispham Blackpool after a family argument with her father. I have had a look at the cards and print my findings below. I did not see an obvious death situation with Paige in my cards today right away but instead many difficulties. I will try to update this tarot by doing another session for Paige. Sometimes I get more information on a second sitting. Meanwhile I will remind you that anything I do write will be vibrations picked up over a period of time that can be past present or future - I cannot always discern what has happened or what is to come in some situations but only bring in the influences. I also never claim to be 100 per cent accurate but know that tarot does put forward helpful information on many occasions. I will just leave what came to mind with this particular child. 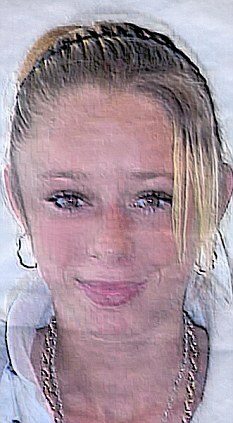 The 16-year-old has not been seen since she left her home in , near Blackpool, Lancashire, in August 2007, following a family argument. At first Glance I do see this girl connected to the four of swords reversed. This card is reversed so I see that there is some form of re-activity around this girl - this card can show someone who might have been held against there own will perhaps as a hostage or forced to be somewhere or in a situation or circumstance she does,nt want to be. The card does suggest the East and Springtime in particular. Considering that this card is reversed it would suggest that she came from the west side of the country (Blackpool) but perhaps may have gone East of that. This card to me makes me feel she wanted to be somewhere that was close to her mother because this card shows a woman and child looking in a window and it occurred to me that Paige had problems getting over the loss of her parent. But the feeling of this card is a kind of isolation like imprisoned or being held hostage or somewhere she cant get free. Its very difficult at times to pinpoint a location but this could be a building that might have been abandoned or near somewhere that maybe wasnt used much but may have been re- opened. The logical though with the four of swords is always a church or cemetary or somewhere you would feel peace or somewhere you would be getting over an illness . When you turn that on its head it gives me the impression of somewhere you are being forced to stay and probably against your will because of other influences. So it is rather difficult to be specific about the place but more captures the emotions of it. It could link to the word Cross or square. I really feel that Paige felt lost and abandoned in herself. She was not able to cope well with her inner stress and she may have sought somebodys advice. I see a form of counselling conversation around her from an older man here. Perhaps an older man can throw light on Paige. I feel Paige at night for some reason and possibly somewhere near a Hill. I get that feeling that the ground is up high. Im really just seeing a lot of isolation with her and a sense of insecurity and even suicidal feelings. 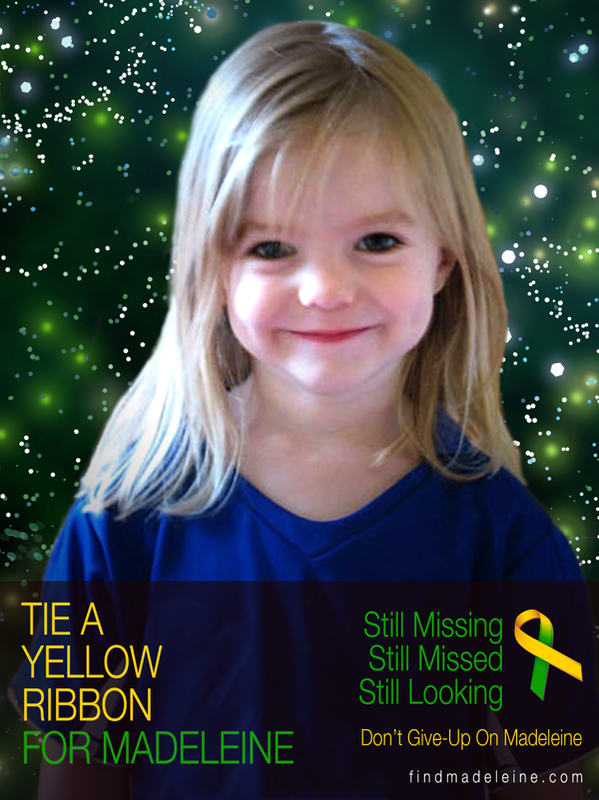 The cards are very misty over this girl but it is possible still even at this stage that Paige could be found alive. There seems to be some upswing here that gives me the impression she will be found because of some link that comes into being and its a very unexpected turn up of information. There does seem to be a turning point here and a possible major breakthrough with the number 10 - so that could mean October though I cannot say if its this October or not. There is also a 12 year cycle on the wheel of fortune and though we link it to 12 years it may come up in anyway related to that. It could be a 12 year old person gives information - so I cannot be completely sure about this. The North East may play a part in this case. I also see that a car is picked out. Some information might come from an area or someone close to home ground. I do hope this situation is resolved but will look again in a while if it has not been. I always try to look positively on anyone who is missing and my first impressions were that Paige had not died but was in a situation where she managed to overcome that. So the future will tell us the real situation I can only try to throw a little light on some influences all of which may not be absolutely accurate. I really hope that this is the case. Looking through the cases, I need to update, Paige is still Missing. Tarot does appear to have been validated in some areas of the news that followed. "I see a form of counselling conversation around her from an older man here. Perhaps an older man can throw light on Paige." ETA Also from the tarot -" I also see that a car is picked out"
"There seems to be some upswing here that gives me the impression she will be found because of some link that comes into being and its a very unexpected turn up of information." Her family is described as having been shocked to hear news of the arrest and according to the police "are wondering whether this could be the beginning of the end." tarot said that information would be picked up from home ground and the guy was from Blackpool - also notice the figure 12 and its a £12,000 REWARD.
" found buried in a shallow grave on a building site - was unearthed by workmen using a JCB to dig up land for a £100million office development in Manchester city centre. - The body was hidden in a three foot trench between a fence and a building "
"But the feeling of this card is a kind of isolation like imprisoned or being held hostage or somewhere she cant get free. Its very difficult at times to pinpoint a location but this could be a building that might have been abandoned or near somewhere that maybe was,nt used much but may have been re- opened." " There seems to be some upswing here that gives me the impression she will be found because of some link that comes into being and its a very unexpected turn up of information. There does seem to be a turning point here and a possible major breakthrough with the number 10 "
This news does not specifically mean that the body found by the builders is Paige that is not known at the current time. The illustration I want to make is that tarot does pick up news that is printed ABOUT Paige as well as the reality situation. This is why it is important to understand how tarot works. I will be writing further on Paige hopefully very shortly to see what the current situation might be. TAROT CANNOT BE CONSIDERED AS 100 PER CENT ACCURATE.PLEASE NOTE - Tarot picks up past present and future 'vibrations'. Referring to a person is simply their vibration through intuition and not alluding to mediumistic qualities. I had another look at Paiges whereabouts via Tarot and Iching means. The first card I had 2 of wands reversed ( shown upright in the above picture) made me feel that she was South but away from the sea. There are all kinds of clues with the 2 of wands but I was still left feeling unsure if I had destinations wrong. I seemed to feel Southport. The reason for this was because of the Significance of Alexander linked to the card which makes me think of the River Nile. The Cross Rose and Lily beside the man who is looking out over a battlement. The two of wands tells us that there is a decision/action to be made between two alternatives. I did wonder if there was a choice of two locations. Going back to the 2 of Wands I thought about the dominion of possession in this card. Heres someone standing on their castle looking over to the sea. He is on top of this building and has two sticks/wands in his hand. But, this card was reversed so this person wont be standing up high literally though the 'high' reference could still linger. I did have 'hill' before. Hill does come up a lot but if its there then we have to mention it. I thought I would have a look at areas around Ormskirk where Paige came from. Southport seemed to have an Alexandra Road, it also has Rose Hill, and it has Crossen Churchyard all connecte to Southport. There was a Rosefield House that used to be known as Hermon HILL this was a mansion that in the last year has been converted to flats. There was also Grieves Mental Asylum which is also a building that has been granted restoration into flats. There also used to be Belmont Castle which has gone but the site is in Lord Street. Not that any of this means a thing......but very interesting all the same. Except that I do have the Sun card for Southport. Its reversed and can suggest a 'yes but' as to whether Paige could be in Southport. The problem with the Sun reversed is that it could suggest a Basement or somewhere underground. The other explanation could be that she is 'underground' in respect of wishing to stay in cognito. Ive satisfied myself that Paige does have a connection to Southport but the tarot is past present and future. Other things came up that slightly puzzled me. One of these things was the indecision in the two of wands quite apart from the descriptive value. I almost feel or wonder whether she was aware of the inheritance from her mother. If this is the case I also wonder if she had a partnership at the time or was with somebody and had a push pull situation as to whether to claim her inheritance or not. I had also seen this. This is looking nostalgically at the past. So there is a looking backward here at childhood memories and something being given. I thought of Paige being given an inheritance via her mother. I also felt having contemplated this card whether this gift would be difficult for Paige to receive considering the fact that in this card is a meeting with someone from the past and also the inclination on the 2 of wands of a partnership. I had already looked at Iching and found that the Hex I was given was 45 unchanged. 45 unchanged brings up uniforms, grass - gathering together and linking with familiar territory and wanting to be with people of a community she felt comfortable with - and then I wondered whether the best thing to do is call a halt once more on this particular case. I have a problem with where she used to live and how strongly this comes up. I also have the push pull scenario of a relationship between two people and whether forgiveness can be achieved. I also have a woman who is standing right in the way of things shes an obstacle and I dont know if she is the reason why Paige might have a problem wondering what to do. The overall thoughts I have concluded on this sitting is TMI - !!! If Paige is alive I wondered whether if I was her if I would want my inheritance given to me in SECRET because there is clearly something NOT right about the six of cups and the past. There is and are definate signs of childhood upset here and without offending anyone, Im not exactly convinced that Paige would have chosen to go home. I keep thinking that she might have tried to but I cant make the connection as to whether she actually did or not because it seemed to be some kind of problem something stopping her as she had made a new life that I could see or at least that was in her mind. So I thought I would scout the news to see if there are any updates and of course I only came up with the Builders finding a body. I do have a building in the cards and I have mentioned references to two buildings that have been renovated into other planning by construction companies. It would be totally outrageous guessing from the two of wands but it was a kind of journey that led from one thing to the other. Maybe its total fantasy. Regardless of that I think she is underground and that has to be for two reasons. One she has passed and is underneath a building - linking that perhaps to areas I have mentioned or ultimately as a second choice, she is alive and not willing to give away her whereabouts. The 2 of wands has two staves/wands on it - two poles if you like - and this could be some form of clue in itself. Maybe even foundation poles. The 2 of wands upright is about Riches/fortune - and whether or not to accept it? Thats a possible scenario. Once more - I know I have to leave some time and come back to try to find another angle on this case like all cases, they need a breathing space. I will just leave these thoughts and mention that Paige is connected to someone else. In the two of wands we have a BOSS and regarding Location of 2 of wands I did think of Lord of the Castle, Lord Street, SOUTH - looking over the bay - perhaps Southport. May mean absolutely nothing. The Sun card suggests without a doubt particularly with the Moon before and Judgement following that Paige is 'underground' after she passed ( meaning hidden deliberately not wanting to be found or deceased underground) and as we have Judgement which is card 20 - suggesting Red Cross ( health matters hospital etc) possible return of someone - or part of a location, we might consider the Grieves Hospital area in Southport too. So I leave thoughts and cannot guarantee whether I have simply gone off on a 'mission of fantasy' here or might have alighted on a situation that might play some part. She definately has been with a group of like minded people - she has wanted to avoid someone who gets drunk a lot - and there is a faint chance she could have had an accident which could have been very serious. As Paige has never been picked up in hospital that might not be such a good thing then. However, I still think there is a possible chance too that someone wishes to swindle or obtain illegally a small fortune. How that applies I have absolutely no idea but it shows in the cards. Just one more thing, which may again be a throwaway fact, but in the Six of Cups it has been thought that the little children wear red hats in some versions of the tarot. One person said that these hats are very popular in Germany. All interesting if nothing else. Southport references found in 2 of Wands. I have left the references above and also wish to mention that Wands/staves/sticks could refer to GOLF. Feb 19, 2012 – When 15 year old Paige Chivers disappeared more than four years ago, her friends and family hoped ... the decision based on the evidence available and length of time that Paige has been missing." ... February 2013 (153). theguardian.com, Friday 1 November 2013 10.07 GMT. Teenagers Charlene Downes and Paige Chivers went missing from Blackpool in 2003 and 2007. It also seems that Paiges father has been murdered. I did not know this until today.